First club camp of 2019 – are you coming? Now that your bus is awake (see last week’s article Wakey Wakey), you can think about a spring camp if you haven’t already got your year mapped out already to include all of the club camps listed in our Events page. Next up is the April Fool’s camp, less than 3 weeks from now starting March 28th at Sixpenny Handley near Salisbury just nestled into north Dorset. Come and join the members having a spring weekend! This entry was posted in Camping, Public on 08/03/2019 by Nick Gillott. A family-run, family-friendly oasis, Müllerwiese is a small but perfectly formed operation that’s been running since 1972. On the edge of a picturesque German village called Enzklösterle, the area resembles nothing more than a large, pretty household garden, with around 75 pitches stretched along the River Enz. Away from the riverbanks, you can pitch in a grassy, car-free area, purely for tenters, or rent one of two log cabins edging the camping field. The Enz provides a gurgling soundtrack, fir trees offer shelter and facilities are appropriately modest but adequate, accompanied by a playground in the garden. Quaint Enzklösterle on the doorstep will keep you busy and the vast Black Forest all around will keep you busier still – visit the tourist office directly opposite the campsite to get started. When it comes to waterside lounging in the Algarve, it’s usually a mad dash to the beach accompanied by a swarm of other British sun-seekers. Backtrack into the forested Serra de Monchique, the region’s mountain range, and it’s a totally different story. Above the coastal crowds, Quinta de Odelouca overlooks a tranquil river basin, gradually widening into a vast reservoir. Almost all of the 25 pitches come shaded by olive trees and the basic but clean sanitary facilities offer something for everyone – there’s a baby-changing room, disabled-friendly showers and a chemical disposal point for the caravanning community. There’s even a saltwater swimming pool, perfect for cooling off on summer afternoons. With high peaks puncturing the surroundings, the site is a perfect base to do some serious hiking or canoeing. Luxembourg boasts a total area of just 999 square miles but, tucked in the valley of the Clerve River, Camping Val d’Or boasts perhaps the finest acreage of the lot. Spread around the riverbanks, the campsite is an oasis of greenery with the water at its heart. Shallow, rocky and gently flowing, the Clerve occupies children for hours and, while there is room to pitch along its edges, campers can also cross a wooden footbridge to more spacious pitches hidden behind tall hedges – best for peace and quiet. Not that the place is a riot at the best of times. The village of Enscherange has a population of 140 and it’s a five-minute drive to the nearest restaurant in Drauffelt. It’s an easy and scenic train journey to historic Luxembourg City, though, with day tickets costing just €4 (£3). Tuscany may not strike you as a secluded getaway – Pisa and pizza-seekers swamp the place in summer. Yet at the region’s eastern fringes, you can truly leave the beaten track. Nestled in the heart of the Val’d’Ambra, verdant hills stretch for miles around while inland lagoons puddle the valley floor. Comprising eight wooden “caravans” and five wooden “tent houses”, Agricampeggio Madonna di Pogi offers ingenious glamping accommodation fully furnished within so you can travel lightly and sleep deeply. When the weather’s nice, the private lake is perfect for a cooling dip or a spot of fishing in the shade of the cypress grove. Some of Italy’s most iconic Renaissance sights are easily reachable too: Florence, Siena and Arezzo are all within an hour’s drive. It pays to bring along your own personal kayak to Slovenia’s Kamp Liza. With so many others lying around, without one you might feel a bit left out. The site offers access to two rivers: the emerald-green Soca and the clear, wild Koritnica, making it a serious boon for aqua aficionados. Surrounded by the peaks and pastures of the Bovec Valley, the campsite is a large, laid-back space with relatively basic facilities – there are lavatories, hot showers and disabled bathrooms, but they’re a bit limited. Groups are directed to the lower terrace, next to the burbling Soca; families gather in the central area, while tenters head to the farthest field. It’s a couple of kilometres to 800-year-old Bovec, a centre for adventure sports, with an array of cafés, shops and traditional restaurants, as well as a daily market. Meandering through the sprawling, grassy meadows of Camping De Roos, the River Vecht is the perfect centrepiece to nights under canvas. Many cycle here along the river’s towpath, a journey punctuated with a refreshing dunk to cool off en route. Upon arrival, campers truly are spoiled for choice with pleasant places to pitch up. An undulating space scattered with trees, bushes and winding paths, the site has an intimacy belying the wide variety of pitches. For something special, two designated trekkersvelden are tucked away amid the chunkier trees, exclusively reserved for anyone arriving by bike or on foot. Situated in an area of breathtaking natural beauty, preservation is a priority, with timed showers, recycling bins and an on-site shop chock-full of healthy foods, planet-friendly cleaning unguents and the most local of local produce. On and around the Brittany coastline there is no shortage of camping destinations but Camping Milin Kerhé stands out from the pack. Not many sites can boast such an idyllic setting: pristine terraced fields hugged by dappled woodland with a salmon-rich river meandering languidly through. The general laid-back air of the place is mirrored in the camping options on offer. Tents, campervans and motorhomes are all welcome, while hanging tents slung up in the woodlands are pre-arranged for campers travelling light. It’s echoed too in the varied activities, from volleyball and boules to kayaking on the majestic Trieux or following nature trails along its banks. Campfires are very much encouraged and riverside picnic tables are set up for family barbecues. If you do decide to leave, the beaches of the coast are a mere 30 minutes away. On the western edge of Peneda-Gerês National Park, the appropriately huge Lima Escape (capacity for 400 campers) seems to maintain an intimate atmosphere while still showing off the park’s vast natural beauty. Pitching up in mixed woods of oak and pine, campers can rest near a babbling stream that snakes along one edge, or pick a point overlooking the open Rio Lima, resembling more a long, slim lake than a river. Two tepees, two bell tents and two tree houses are the summation of their glamping options and poach the best views on the site, each with their own wooden terraces. Ramblers and mountain bikers will love the surroundings. Peneda-Gerês is spread across four dramatic granite peaks, and is especially popular in late spring when its wild flower-lined trails are in full bloom. Four fully furnished bell tents, raised on wooden platforms are the sole accommodation in this Pyrenean glamping site, each separated from one another to provide space and seclusion. Inside, super king-size beds are accompanied by bedside tables made out of enormous round logs, while outside, guests have their own vista-viewing dining space and a hammock for relaxing. Venture down the track and a pleasant walk reveals the majestic Vall d’Ora River, where an old, disused lock has become a re-wilding waterfall, with pools on either side perfect for swimming. Off-site, the traditional Spanish town of Solsona boasts a well-preserved centre, complete with towering Catalonian cathedral and a cluster of good eateries. Alternatively, head to Panta de Sant Ponc, a vast lake that’s ideal for kayaking and cycling on the perimeter route. On the Italian side of the Mont Blanc Massif, Lo Stambecco is a campsite popular with walking types and anyone with an eye for stunning views. Directly opposite its grassy slopes is a steep shoulder of mountain – the silhouette for setting suns – while rumbling through the valley below, a gushing river of glacial melt water. Dips (and sips) are not recommended, though – your extremities wouldn’t thank you for the exposure. On the edge of the tiny village of Valnontey, the campsite is a popular stopover on one of the great Alpine walks – the Alta Via from Champorcher to Courmayeur – and has a variety of pitches, some on the open grass, others venturing into the pine cover that engulfs much of the hill. Facilities are good and there is a cosy bar and reading area with a selection of board games. Known as France’s Lake District, Périgord-Limousin Regional Park is dotted with sparkly bodies of open water – some with natural beaches perfect for wild swimming and many with countryside cycle routes. In the park’s north-easterly corner (on the site of a former tree nursery) La Ribière Sud boasts 22 acres of woodland and meadows. Run by two English expats, Ann and Harry, the site’s centrepiece is a wonderfully painted, genuine Mongolian yurt with a refined, gipsy-chic interior and wooden struts delicately illustrated by the hands of nomadic craftsmen. The giant bed and welcoming candlelight is difficult to turn down, but you don’t have to stay in here if you’ve brought your own canvas – there are plenty of pitches in the shade of the towering poplars outside, all with electricity. High up in the quiet and unspoilt Spanish village of Lago, Camping Lagos de Somiedo is a compact campsite by the side of a stream. Cars are confined to an entrance car park, so the camping area is free of clutter. For extra seclusion, there’s a private patch of grass across the water, accessed by a rickety wooden bridge. Facilities are basic but clean; a rustic wash-block has showers and lavatories, and outside washing-up sinks, while elsewhere, there’s a small bar and a “mini-farm” with animals and a quaint old water mill. Within a Unesco Biosphere Reserve, the area boasts some of Europe’s most rare and exciting wildlife, from birds of prey to the Cantabrian brown bear. This entry was posted in Camping on 06/06/2015 by vwt2ocadmin. 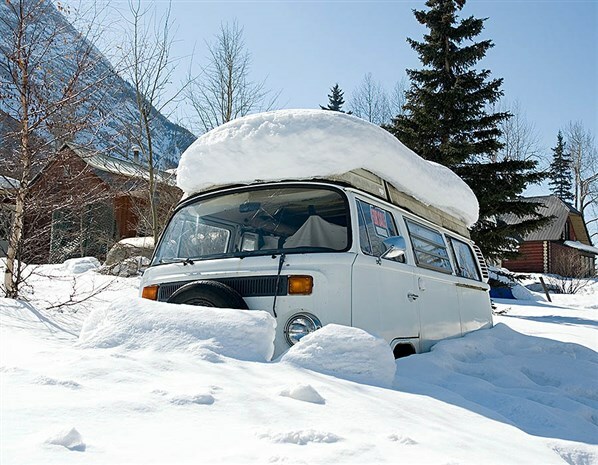 Would you take a campervan to the ski slopes?? Is swapping the warmth and comfort of a ski chalet for a campervan worth the money you’d save? New research has found that families could save up to £1,100 by swapping a hotel room for a “cosy caravan” when hitting the ski slopes in Europe this season. Caravan dealership, Salop Leisure, compared the average cost of staying in a hotel or chalet with the cost of driving to the mountains and staying in a campsite. Yes, there’s no match for the comfort of real, actual brick walls, a freshly-made bed every morning or chalet staff-made coffee and cake on your return from the slopes every day, but making the swap to the deal on wheels could be almost eight times cheaper. Using prices from Trip Advisor’s 2014 Trip Index, Salop Leisure found that the average price for a week’s stay in a hotel or chalet in Serre Chevalier, France, where accommodation is apparently one of the cheapest in the French Alps, is £1,210. However, skip the hotels and head to the nearby Champ du Moulin campsite and the cost for a family of four for seven nights plummets to £163. The same savings apply in more popular resorts like Austria’s St Anton, where, according, again, to Trip Advisor, a week’s stay is the most expensive in Europe, with an average cost of £3,424. But trade the luxuries of a hotel or chalet for the Camping Arlberg site and a pitch for the week will cost £182 and include a private bathroom hut, wireless internet, washing machine, tumble dryer, sauna and ski bus stop to the slopes (mind you, that’s just a public bus stop and a free ski bus). Salop Leisure says more and more Britons are purchasing campervans and caravans for holidays, a trend it believes matches behaviour in North America where driving a motorhome to a holiday destination is much more common. The dealership says that while the initial investment in a “chalet on wheels” may be steep (in the region of £20,000, but up to £40,000), the savings to be made in resorts around Europe are vast. Campbell Levy, a regular caravanner in Colorado dug up by Salop Leisure to sing the holiday format’s praises, said he drives up to Aspen Snowmass in a 1997 VW Eurovan Camper. “It has a propane-powered furnace that keeps us toasty even on the coldest nights. We’re often too warm, and have to let heat out,” he said. Saving money is not the only consideration though – as well as the hours of driving (the drive from Calais to Val d’Isère is about nine and a half hours), prepping your ride for a winter journey requires meticulous effort. Everything from winter tyres, snow chains and pipe insulation to checking tyre pressures, testing breaks and investing in copious amounts of antifreeze are seen as essential preparation for a moutain drive adventure. See our guide on how to drive to the slopes.So, would you? This entry was posted in Camping on 16/03/2015 by vwt2ocadmin. The summer solstice is upon us and there are few better ways to spend the brightest weekend of the year than on a trip into the great outdoors. The fresh air, the chirping of the crickets, the knowledge that you don’t have to care about what’s trending on Facebook for several days—camping is great. But eating and drinking in the woods come with some drawbacks. Lugging beer and wine bottles in your backpack is cumbersome, making a decent meal on a stove the size of novelty Frisbee is challenging and how are you supposed to get a decent cup of coffee? Here are eight things that can solve all of those problems so you can worry about more important things, like what was that growling sound you just heard off in the woods. Drinking beer around the campfire is perhaps the best part of any camping trip. But packing out all of your empties (and make sure to pack out all of your empties) is a real pain. Pat’s in Alaska has created a beer concentrate, so you can make your own beer right on the trail. No more lugging around packs full of jangling glass bottles all weekend. What if you’re in the mood for a beer that doesn’t come in cans or bottles? You’re in luck. This vacuum insulated bottle will keep your beer cold for 24 hours, so stop by the brewery and have them fill it up. You can pick up wine in portable pouches, but selection is limited. These refillable ones, which will hold an entire 750ml bottle, will let you put whatever you want in them. Now you don’t have to leave that 1982 Bordeaux at home. This funnel system makes pour-over coffee much more campfire-friendly. Also, hipsters rejoice, because you can own yet another item made of a Mason jar. Finally, a convenient way to get shots when the nearest bar is three hours away. This is made by Jägermeister, but if that’s not your vice of choice, you can fit it with other spirits. We have a friend who insists the only food you should eat when you go camping is canned chili. We’re getting one of these ovens and making a soufflé. That should show him. Wine and beer not your thing? Class up your campfire drinking with a martini from a stainless steel cup. These things are hearty enough to survive a bear attack. This brilliant heat-powered generator will charge your phone while you’re boiling water for your coffee. You may not have service, but at least you’ll be able to play Threes and Angry Birds. This entry was posted in Camping and tagged camping, tips on 01/07/2014 by vwt2ocadmin. Happy campers are those considering France this year. According to the French tourist office (uk.rendez vousenfrance.com), there are now more than 9,000 one- to four-star campsites spread across the country, plus a blossoming number of luxury pitches. And if you don’t want to carry your own canvas, many of these sites provide fully equipped tents, caravans and cabins, not to mention a burgeoning number of very smart treehouses. The accommodation on offer is ever more inventive: from a pop-up surf camp near Bordeaux (0800 6123 516; feralsurftours.com), to a naturist beach retreat in Corsica (00 33 4 95 38 80 30; bagheera.fr/en) plus floating cabins (echologia.fr) and bubble treehouses (00 33 2 43 69 95 63; domainedesvaulx.fr) found in the increasingly popular Mayenne region, a short hop from the ferry port at Caen. Pre-pitched tents with luxury trimmings – plush beds, loos and a close attention to design – are popping up across France, a destination that had previously lagged behind the luxury camping boom seen in the UK and Spain. If you want something really wild, how about camping out at the zoo? Three new safari-tent-style Lemur Lodges recently opened at La Flèche Zoo (00 33 2 43 48 19 14; safari-lodge.fr), in the valley of the Loir, a tributary of the more familiar Loire. Each has oversized windows for observing the nocturnal habits of these much-loved Madagascan primates, plus an outdoor shower and pergola to complete the back-to-nature experience. A week in June costs £125 per adult, £60 per child (aged three-12); under-threes go free. The price includes two-day zoo passes for all and half board with dinner delivered to your lodge. The Michelin Camping Guide (travel.michelin.co.uk) and Guide Officiel Camping Caravaning (available from campingfrance.com) have more details on sites across France. These days, the perfect pitch means more than flat ground and a great view. Glisten Camping (0844 344 0196; glistencamping.com), at Col d’Ibardin in the Pyrenees-Atlantiques, has six new geodesic domes furnished with hanging sleep pods for children, beanbags, king-sized beds and an artfully arranged al fresco kitchen with plancha grills. There’s also a kid’s club, swimming pools and sports for teens. A week in August costs £750 (sleeps four adults, two children). Canvas Holidays (0845 268 0827; canvasholidays.co.uk) has expanded its “luxury extras” programme. New summer additions include safari tents and buggy building (teams race and create beach buggies from rope, wooden poles and barrels). Other activities at the 12 participating French sites include Water Walkerz (aqua body zorbing), orienteering and teddy bear picnics. A week’s stay in a Safari Tent Deluxe (sleeps six), at Camping la Sirène, near the coast and the French-Spanish border, costs £1,288, arriving 19 July. If you don’t have to travel during the school holidays, it’s easy to save. Book a break between 1-19 June and Eurocamp (0844 406 0402; eurocamp.co.uk) is offering a week’s holiday for £405 per party (up to eight/six adults), including accommodation in a three-bedroom mobile home and return Dover-Calais ferry crossings. Participating toddler-friendly sites include Domaine des Ormes in Brittany, where pitches are available for those with their own tents, plus treehouses and mobile home rental. Set just inland from St Malo, the site has a pool and lake to swim in, plus a kid’s club, babysitting services and all-terrain buggies which you can hire. Stay within dashing distance of Paris, at La Croix du Vieux Pont (0844 847 1356; hoseasons.co.uk), a five-star campsite perfectly set up for under-fives with accommodation that includes fully equipped mobile homes, lodges and tents. Facilities include children’s pools, playgrounds, soft play areas and a kid’s club; a frequent camp bus service makes the hour’s journey to Disneyland Paris. A week in June costs £441 for a family of four staying in a mobile home, with shower and loo. Book a stay on a farm near the beach in Normandy. As part of the Featherdown Farm (featherdown.co.uk) portfolio, the family-run Ferme de la Folivraie offers the usual Featherdown comforts: decked, canvas tents (sleeping six) with kitchens, comfy beds and flushing loos, plus farm activities for childern, the beaches of Port-en-Bessin are a mile away and the Marais du Bessin National Park is on your doorstep. A week’s stay in June costs between €649 and €759 per tent. Another Normandy farm favourite, Château de la Grande Noë, is an organic farm estate where you can camp high up in Douglas redwoods in medieval tent-style treehouses complete with drawbridges, rope ladders and winch systems to hoist up farm-made picnic baskets. Walk a Shetland pony, pet horses and goats in the paddocks, and explore La Perche – the surrounding region of protected woodland. A week in August costs €1,015, including breakfast, in a treehouse for five (chateaudelagrandenoe.com). Stay safari-style in Brittany. Bot-Conan, in the Baie de la Forêt, has six “Archipel” safari lodges set on wooden decks, and each comes with its own outdoor kitchen. There are also “atoll” tents with sundecks and barbecues and two grass-roofed bathhouses. Beach access is along a wooded coastal path down to a “secret” bay. Canopy & Stars has a week’s stay in June for £587, in a safari tent that sleeps five. Swim in view of the Pyrenees at Camping des Albères, near Perpignan. Perfect for families, the site has a two swimming pools, a café, shop and activities; the beaches of Argelès-sur-Mer are four miles away. Pitchup (pitchup.com) offers a week in June for £164, for stays in a “nature safari tent” (sleeping up to five), with accommodation split into a double room, a triple room and a fully equipped kitchen, plus a decked terrace area. Sleep high in the Haute-Savoie in south-east France. Camping Les Dômes de Miage is set at 3,000ft up the Rhône-Alpes with pitches offering views of Mont Blanc. There are no swimming pools, static caravans or animation programmes but plenty of mountain bike trails, forest hikes and a lovingly-restored wooden mazot (traditional Savoyard chalets). A pitch for two people costs €25 a night (in own tent) in August, with Cool Camping. Beat a retreat to the foothills of the Pyrenees, to bed down in a vintage trailer. Pioneers of the European vintage trailer park trend, Belrepayre (00 33 5 61 68 11 99; airstreameurope.com) is arguably one of the most splendidly isolated spots to stay in an Airstream. Ten gleaming aluminium trailers from the 1950s, 1960s and 1970s (sleeping two to six) are each furnished in period style, plus there’s an on-site spa, hot tub and bar/café. A trailer for two costs €630 per week in August. France’s municipal campsites offer the best budget pitches. Found in most towns and larger villages, these usually have loos, hot showers and a basic shop. You need to book only in touristy (largely coastal) regions. These make great pit-stops for road trippers or those who don’t want to commit to one destination. A night at the Mérindole site in Port de Bouc, close to Marseille, costs from €1.95 per tent and €3 per camper with cars charged at €2.05 (camping- municipal.org). For a bargain action-packed camping trip, try Family Adventure Holidays (01273 827333; family adventureholidays.com). Stay in a mobile home on a campsite set vineyards and the foothills of the Cévennes. Take a two-day whitewater canoe descent of the Ardèche gorge, with an overnight riverside bivouac, or try kayaking, climbing and abseiling in the limestone cliffs, and tackling a high-ropes course among the pine forests of Villefort. These holidays are suitable for children aged eight and above. A week in August costs £438pp, including accommodation, activities and some meals. This entry was posted in Camping on 02/05/2014 by vwt2ocadmin. What Kind Of A Camper Are You? Camping, for those who are particularly fond of this outdoor activity, is primarily a very satisfying act since it allows them to commune freely with nature as well as get away from the daily hustle and bustle for a few days at the least. Most campers can be recognized into what kind of a category they fall into through their style of camping. Family campers, these days, wish to provide their children with an outdoor experience which is coupled with basic amenities as well, so as to be sure not just of their safety but also of their comfort. Woolacombe Bay Park in Devon, England allows such parents to not just teach their children various outdoor skills but also helps them relax and rejuvenate as a couple by providing various facilities like sauna, heated swimming pools as well with an easy access to the Lundy beach and to various countryside walks. There are many who want a pocket-friendly getaway into the heart of nature and do not mind carrying that extra load of freeze-dried meals and a tent, camping into the mountains is the foremost choice. Dartmoor in England provides them with just the right kind of escape and it costs absolutely nothing. Camping outdoors does not always entail lugging tents around but can also entails inhabiting whatever space is available to get the most out of an outdoor experience. It could be a barn or a run-down shack that nobody is using or even a beach. Those who prefer this kind of camping, only have to carry the bare minimum that they require and can do away with the whole hassle of tents and poles. Camping for many is actually an escape from not just the routine of everyday living but also the rules that society puts on them. Which is why, if one does not want to be ordered around on where to pitch their tent or when to put the lights out, countryside Britain allows such campers an excellent opportunity in the form of the Stonethwaite campsite in Borrowdale which is surrounded mountains and is at a stone’s throw away from the Blackmoss Pot. Recent times have seen the rise of a new style of camping known as Glamping that involves camping in luxury. For those who are overtly fashion conscious, boutique camping trips are winning favors hands down and allow the glampers a 5-star experience along with soaking in the atmosphere of living out-of-doors. This entry was posted in Camping on 17/04/2014 by vwt2ocadmin. GO Outdoors, which sells outdoor equipment and clothing, has opened a £1.2million store in Taunton, creating 37 jobs and boosting the local economy. The store has a wide range of camping products, tents, clothing and footwear, as well as fishing, cycling, climbing, running and horse riding equipment. 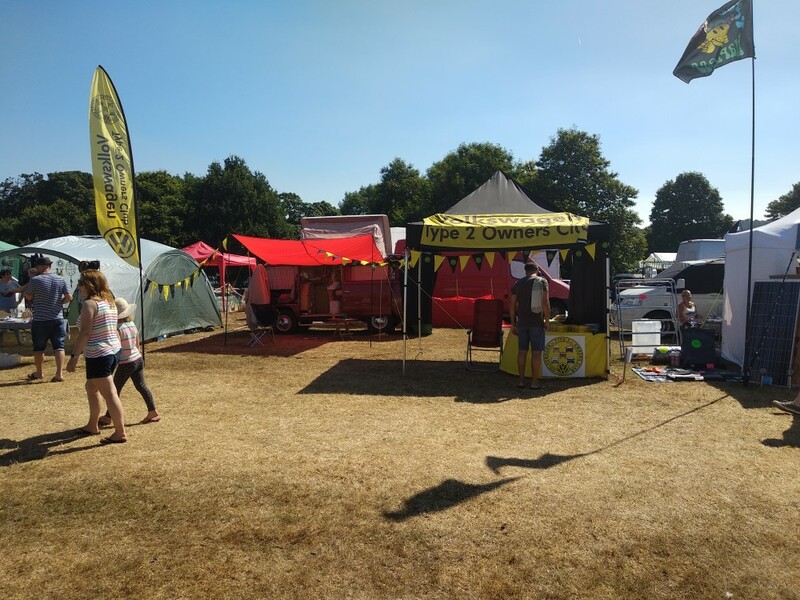 Staff can advise customers on the right products for their needs, whether it is camping with the family or competing in downhill mountain bike races. The Taunton store has a large indoor field tent showcasing GO Outdoors’ new range of tents. The tents are pitched in store so that customers can get a feel for the size and shape of the product, and in-store experts can answer questions. The Taunton store officially opened last weekend with more than 50 customers queuing from 8am to take advantage of opening offers. Store manager Laura Humphreys said: “We’re very excited to be up and running in Taunton. “Somerset is a great base for outdoor pursuits and we’re really keen to get to know local activity groups and individuals who enjoy the great outdoors. GO Outdoors was established in 1998 and employs more than 1,800 people across the UK. GO Outdoors Taunton is at St John’s Retail Park next to DFS. To contact the store call 08443-876800. This entry was posted in Camping on 16/04/2014 by vwt2ocadmin. Tents are fine. RVs can be fun. But no transitory home launches as many dreams of running away from it all as an Airstream. That’s something Bill Ward counts on for his Denver-based business, Living Airstream, which rents out the gleaming aluminum trailers for events from camping to corporate. The instantly recognizable bullet-shape trailers are “an American icon like Harley-Davidson,” Ward says. Recreational renters can call one of his Airstreams, which include new models and vintage ones with 1960s-era amenities, home for a day or for months on end. Prices start at $175 per day for a vintage trailer; a monthlong rental of a new model costs $2,600. Many customers fall in the 50- to 80-year-old range and have been Airstream enthusiasts for decades. “This has the most diverse demographic of anything I have ever been involved with,” Ward says. He has sent Airstreams out for everything from camping trips and guest housing for weddings to hipsters looking for a backdrop for stylish selfies. They’ve also been used at Burning Man, the counterculture festival that takes place each summer in Nevada’s Black Rock Desert. Playing on the power of Airstream’s iconic image and utility, Ward’s company rents out units for corporate customers, too. The Airstreams have served as vinyl-wrapped mobile billboards (one-month minimum rental) and temporary office spaces (average rental time: five months). The bulk of the consumer rental business comes during warm weather, but the corporate usage generates income year-round. Ward estimates that the corporate advertising business brings in 10 percent of total revenue. And for those who really fall in love with the Airstream lifestyle, the company sells restored vintage trailers (outsourcing the renovations) for an average of $15,000. Living Airstream’s team of six part-time employees and independent contractors manages everything from deliveries to introductions to companies that make the vinyl wraps to finding folks who can do repairs and restoration. Living Airstream has a constantly shifting inventory, with more in stock during warmer months. In the first quarter of 2014, the company expanded to San Francisco, where the proximity to outdoor recreation and the population’s affinity for retro styling are expected to help the venture triple its revenue this year. Living Airstream is also expanding to Arizona. Eventually, Ward hopes to move to “an inventory-less model.” He is starting another business, Rentbowl.com, which he describes as Airbnb for Airstreams, ATVs, boats and other recreational vehicles. Customers will use the website to book the vehicle they want in the location they want; Rentbowl.com will take a cut, but won’t have to take possession of or deliver the vehicle. This entry was posted in Camping on 15/04/2014 by vwt2ocadmin. In a brand new travelogue for ITV, legendary actor Warwick Davis and his family take their camper van around the country and extol the virtues of the Great British Holiday. Tonight’s opening instalment sees the Davis clan journey round Cornwall where they meet pirates, woodland creatures and a band of rogue knitters. An enchanted wood in Launceston is the family’s first destination as they meet a group of locals dressed up as fairies, pixies and numerous other woodland creatures. These locals meet up regularly to keep the area’s legends and mystical stories alive and Warwick is excited to learn more about the magic and mystery of the county. Warwick later organises for a gang of pirate reenactors to bring Cornwall’s history of smuggling and piracy to life. However the Pirates of St. Piran’s ambush on the family provokes a negative response from Warwick’s son Harrison who is genuinely terrified by the experience . Warwick later tells us that he thinks the stunt has backfired and is worried that he’s traumatised his son for life. In Penzance, Warwick meets a group of graffiti artists with a difference as he gains an audience with the notorious ‘Yarn Bombers’. The women in question keep their identity a secret as they discuss their pop-up knitting displays which arrive randomly in Penzance every six weeks. Finally, Warwick participates in a boat race involving only blind rowers. He shouts words of encouragement to the team and later helps out the cox by using ropes to control the rudder. This entry was posted in Camping and tagged camping, tv, vw, warwick on 13/04/2014 by vwt2ocadmin.